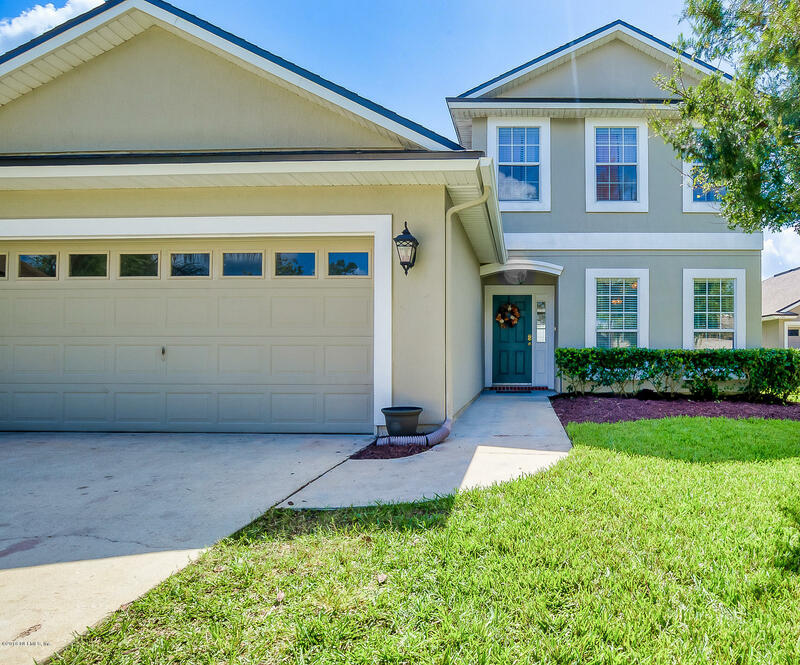 This highly sought after St. Johns County 5 bedroom 3 bathroom home will not last. It has everything wanted in an over 3000 square foot home. At the entrance of the home, you will walk in to the very open formal dining/ formal living space. It is such a great airy feeling with the natural light from all the windows in this room. The upgraded stairway is also at the entrance with wood treads and beautiful black decorative spindles. This gives the home an elegant feel. The back of the home will be your main living space. The open concept kitchen features stainless appliances, granite countertops and a travertine backsplash. There isn't a shortage of cabinet space as it is filled with 42'' dark maple cabinets.